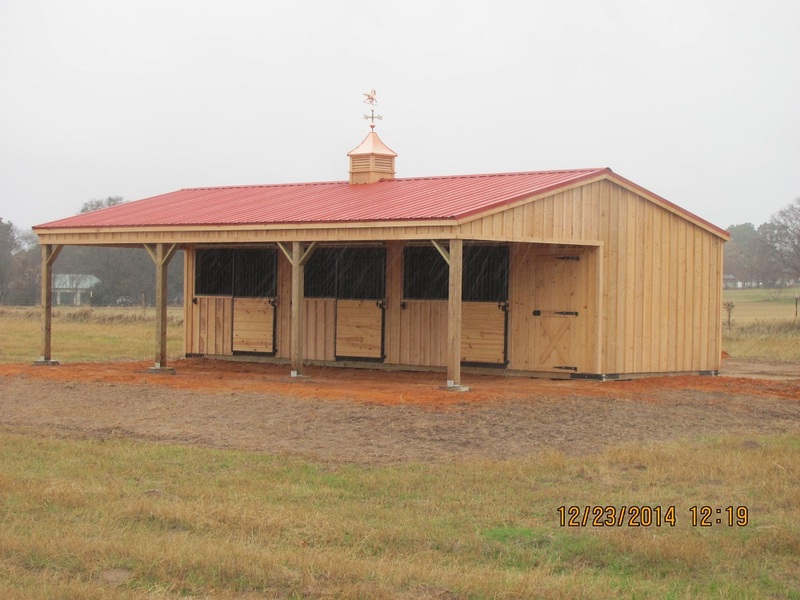 Barns located on farms and ranches in Oklahoma need to be able to withstand all kinds of different weather. From torrential rains to heavy winds to blistering hot days, the Oklahoma climate can really do a number on a barn and the livestock that have to face the elements. It’s why those who own farms and ranches in Oklahoma should consider installing portable barns built by Deer Creek Structures. Deer Creek Structures understands how important it is for farmers and ranchers to provide their animals with adequate shelter throughout the year. That’s why they manufacture high-quality portable barns that are the perfect solution for those looking to install a new barn right now. Deer Creek Structures can have portable barns custom-built and delivered quickly for fast and easy installation, giving Oklahoma property owners the opportunity to start using their new barns right away. All of the Oklahoma portable barns come with 30-year architectural shingles on the roof. The barns are also built with cypress board and batten siding on the exterior that provides insulation for the entire barn in addition to good looks. That means the cypress sheathing helps to keep the inside of the barn cool when it’s hot out and warm when the temperature drops. Cypress wood is also known for being very strong and durable, so it won’t blow away or sustain damage in inclement weather. 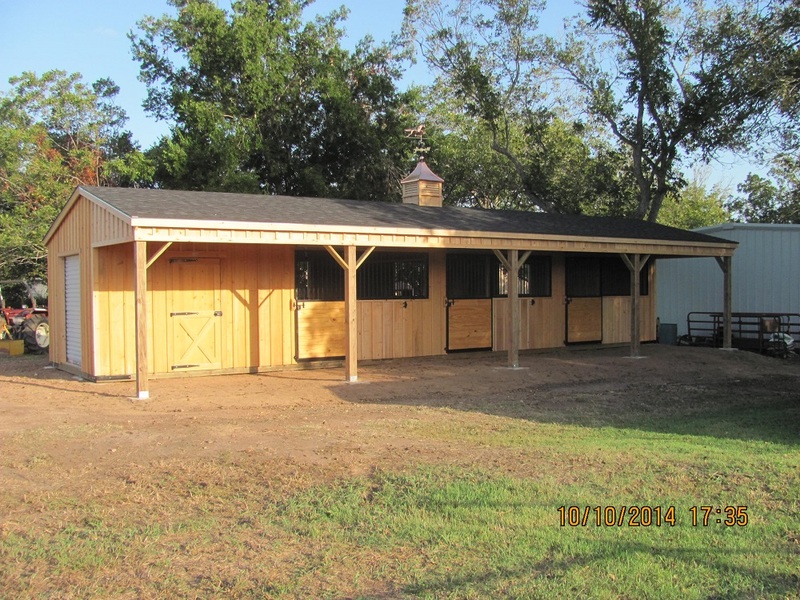 In addition to those features, all portable barns have kickboards and roof decking overhangs, as well as 5/8-inch plywood flooring and a range of additional features that make them a joy to add to your property. Need help getting your barn set up? Deer Creek Structures also offers on-site construction, as well as staining and sealing services to protect your new structure for years to come. The 10-foot portable barns are the smaller of the two options, but they still provide a bounty of space. You’ll still be able to fit plenty of animals inside of one of these barns. These barns are 10 foot wide but can be constructed with lengths ranging from 10 feet to 50 feet. There are also a slew of add-on features available, as well, to personalize and customize your new portable barn, making it possible to get the best possible barn to meet the needs of your farm or ranch. While the 10-foot portable barns from Deer Creek Structures offer ample room inside of them, you can add extra space by selecting the 12-foot Oklahoma portable barns. Like the 10-foot options, these portable barns can also be customized with extra features if you would like, but they will absolutely provide protection for your animals and all the space you’ll ever need. These portable barns can be delivered quickly, and you can usually have your portable barns delivered to your property and set up in just a few weeks. 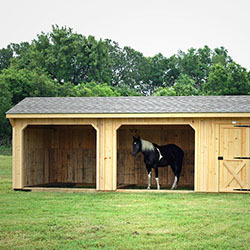 Barns can also be built in lengths as short as 12 feet or as long as 48 feet. A lot of time has been spent designing these portable barns to withstand the test of time. 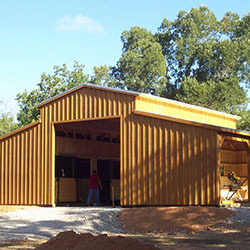 If you have been thinking about adding a new portable barn at your farm or ranch, what are you waiting for? 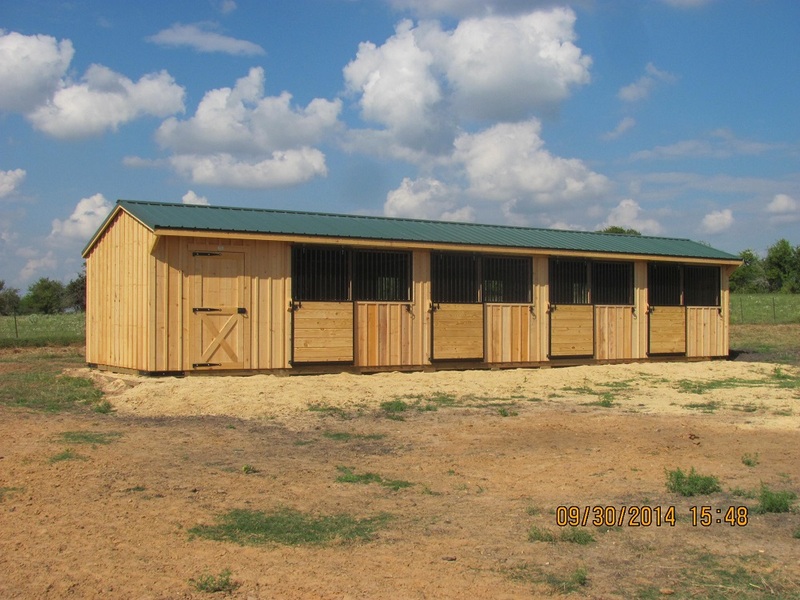 Deer Creek Structures can show you a large selection of Oklahoma portable barns and deliver one to you right away. Call 254-546-2276 today to speak with a member of the Deer Creek Structures team to discuss the full range of options and amenities available with their 10- and 12-foot portable barns. 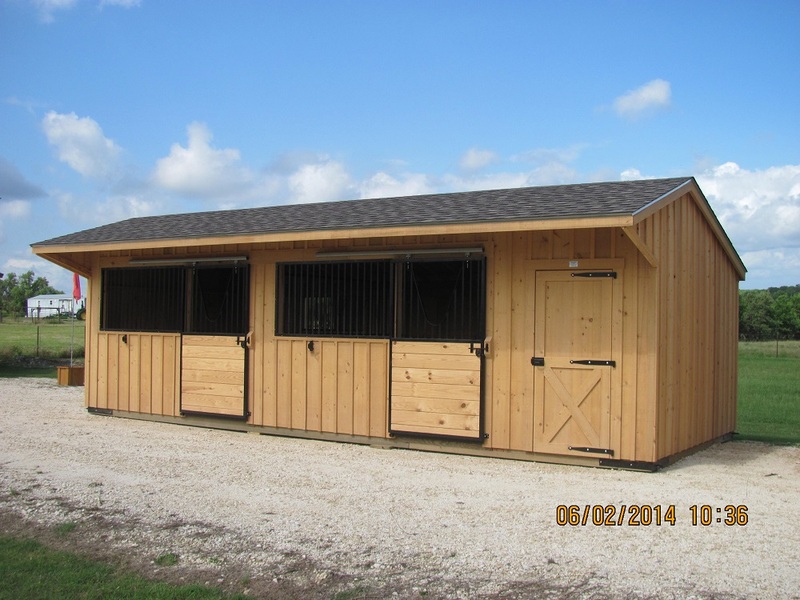 See What Size Portable Barns Are on the Lot!